Señor Septic Construction & Pumping is a fully licensed and insured C-42 contractor that offers reliable and affordable septic tank pumping services in San Bernardino and Riverside County. 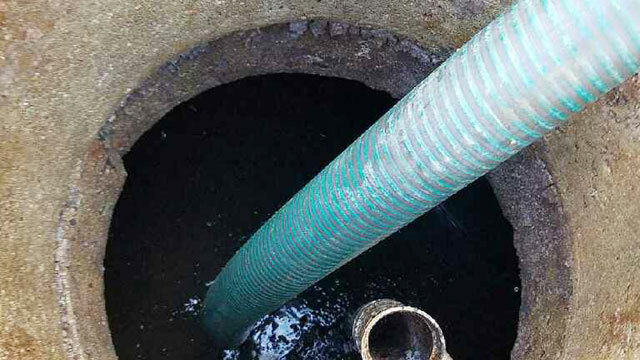 We have more than 23 years of experience, and a stellar reputation among our thousands of satisfied customers for providing high-quality septic maintenance, repair, and installation services at very competitive prices. Call us today to schedule an urgent or routine septic tank or seepage pit pumping and clean out. Superior Service. Fair & Competitive Pricing. Fully Licensed & Insured. At Señor Septic Construction & Pumping, we’re committed to giving our customers superior septic tank pumping services. Our pumping trucks and equipment are modern, clean, and efficient, with a pumping capacity of 1,500 gallons. After pumping out your septic tank or seepage pit, we will spray it out with a water hose for the best possible clean out. Our technician will also analyze your septic system to make sure it is working properly and notify you of any problems. We always take into consideration the age of the system and try to find the most cost-effective solution if septic tank repairs are needed. In most cases, a septic tank should be pumped once every 2-3 years. Pumping should be more frequent when the tank experiences higher-than-normal usage, and less frequent, when rarely used. If you aren’t sure how often your tank should be pumped, our experts can help you determine the ideal schedule for your system based upon the system’s condition and your usage. If, however, you’ve noticed pooling water, sewer backups, unpleasant odors, or a slow flushing toilet, your septic tank or seepage pit may have already reached its capacity. In this instance, you’ll need to schedule service as quickly as possible. Señor Septic Construction & Pumping is a family-owned and operated septic tank maintenance company that serves residential and commercial clients throughout Ontario, San Bernardino, Highland, Rialto, Fontana, Bloomington, Jurupa Valley, and surrounding areas. Our hours are Monday through Friday, from 7 am to 5 pm, and on Saturdays by appointment. For your convenience, we provide two-hour appointment windows and work hard to provide prompt service. Hector and his team are great! Professional, polite and extremely competent. He updated me every step of the way and was transparent when it came to issues/cost. Initially, I called Senor Septic to get a second opinion on the project, but after speaking with Hector I was confident that they were the right company to go with! The project isn't complete yet, but once it is I will be happy to update this review! Thanks.